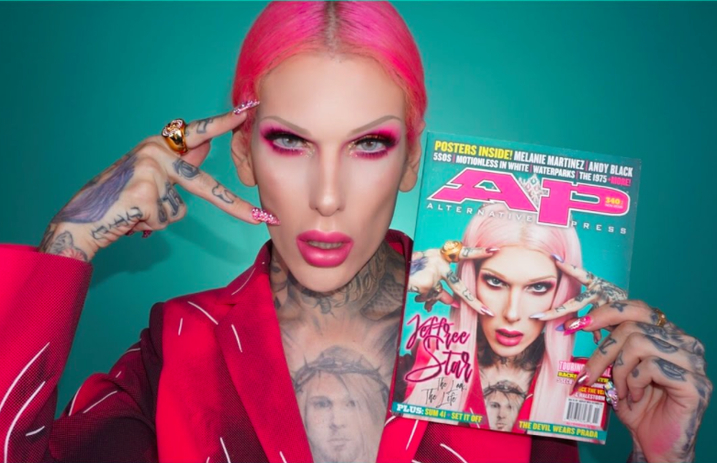 AP 340 cover star Jeffree Star is always turning heads with with his stunning looks—and his tattoos are no exception. Today (Oct. 26), Star released part one of the “Tattoo Diaries,” a new series on YouTube in which the makeup and music personality will give us a personal tour of his body art. Have a watch below of the first episode below, and be sure to let us know which of Star's gorgeous tattoos is your favorite! Since Star has over 100 tattoos on his body, it's bound to be an in-depth and interesting series. In the first episode, Star showed off the tattoos he had from his neck all the way down to his stomach.